Critiquing problems is far easier than imagining credible alternative futures. That seems to be the biggest problem in our political culture today: a colossal failure of imagination. 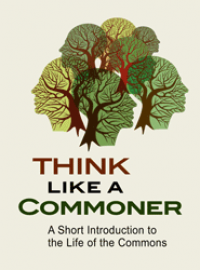 I was therefore pleased when a new friend introduced me to the writings of David Fleming, an iconoclastic British thinker about economics, the environment, and culture who had roots in the British Green Party and Transition Town movement, among other circles. Fleming worked for thirty years to produce a massive book Lean Logic: A Dictionary for the Future and How to Survive It, which was finished just before his death in 2010 and published by Chelsea Green in 2016. 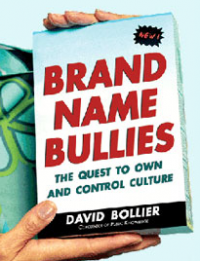 Many core themes of that book were skillfully distilled (by his colleague Shaun Chamberlin) into a shorter, more readable paperback, Surviving the Future: Culture, Carnival and Capital in the Aftermath of the Market Economy. Fleming, one of the earliest to warn about Peak Oil, argues about the decline of the market economy with the rigor of an economist, ecologist and physicist. But what really sets him apart is his understanding that those things are intimately related to social organization and human culture. He realizes that the needs and wants engendered by capitalism will inevitably change as a society kept afloat by cheap fossil fuels falls apart. What will society look like in the aftermath of this world? Fleming believes that we will rediscover and invent a life of place and play – a world in which the traditions of carnival, gift culture and a sense of place re-emerge. The post-market culture will also be a place where small-scale, local activities make sense again. Once large infrastructures become too costly to maintain, we will likely build systems that restore elegance and beauty to a place of honor, and that honors local judgment and direct participation in one’s life. One of the invisible downsides to the modern economy is the huge layer of intermediary structures – roads, electrical grids, landfills, administrative systems – that are needed to keep “the economy” going and thereby produce the countless things we want or need. This has led to what Fleming calls the “intensification paradox.” While massive infrastructures may help boost productivity and sheer output, economic growth all intensifies our need for costly, fixed intermediate goods. This inevitably results in less efficiency and greater complications – at the same time that the expense of maintaining such systems rises. This is why simply consuming less on an individual basis is not enough – the intermediate infrastructures still need to be sustained. Alternative, more localized systems need to be invented. “The system” conspires to keep itself afloat even if aggregate consumer demand declines because there are few practical alternatives. Therefore, how to jump the rails to a different system – what Fleming calls the “lean economy” – is the big challenge. A Lean Economy is about “maintaining the stability of an economy which does not grow,” writes Fleming. “Its institutions are designed as essential means to manage and protect its small scale.” How might this be done? As this passage suggests, Fleming is exploring a radical shift in our economy. He realizes that when the market economy inevitably fades and the state services and regulation are no longer affordable or minimally effective, we will need to draw upon social order and culture to fill the void. 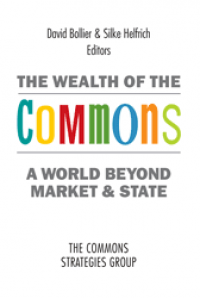 If markets cannot provide a measure of social cohesion, we will need to look to new types of community institutions – dare we say, commons – to provide effective forms of self-governance and provisioning. 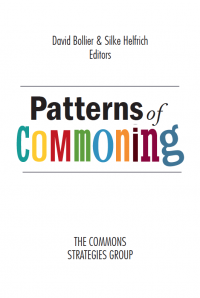 In Lean Logic, Fleming devotes six pages to discussing the commons as a solution strategy. Surviving the Future is no doctrinaire manifesto or doomsday prophecy. It is, rather, a calm analysis written with good humor and a sense of life’s mysteries, joys and tragedies. 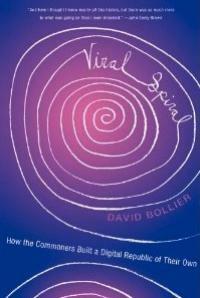 For example, he talks about “The Wheel of Life” – a way of thinking about the life-cycle of a complex living systems. 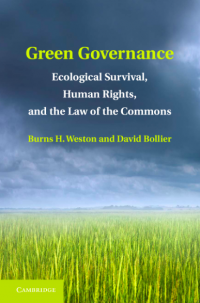 He explains environmental ethics as a matter of understanding laws of nature that, if not obeyed, “will in due course destroy,” albeit perhaps with time delays, non-linear links, and large and horrible amplifications of small acts. Fleming’s editor, Shaun Chamberlin, hastens to note that Fleming is not making predictions about the future (despite a considerable amassing of evidence), but rather possible and even likely scenarios. Serious People of mainstream political life are likely to scoff at a book that considers “the aftermath of the market economy.” But that’s a predictable response from people living in the penthouse of that (endangered) economic system or unwilling to think about big, long-term dynamics. On the ground, where millions of people actually live, the structural deficiencies of neoliberal capitalism are all too real, right now, and the existing system is not likely to self-reform itself. Fleming opens some doors that few economists, political leaders and advocacy organizations dare to walk through. But his thoughtful, humanistic approach is a welcome tonic and rich with insights. Surviving the Future certainly expanded my appreciation for a future that is already arriving. A wonderfully engaged and thoughtful review! What a wonderfully engaged and thoughtful review David, thank you. As you say, David Fleming's work goes to places that few dare to tread, but I'm delighted that it's finding such an appreciative audience already, and I suspect that more and more will come to appreciate the need to explore the post-globalisation world. You capture beautifully the essential thrust and implications of the books, but I would clarify one minor point. When in my editor's preface I reference David F's line that "the Lean Economy is not a forecast; it is a scenario", I didn't intend to indicate that this represents any shred of doubt or lack of evidence on his part that the market economy is coming to an end. Rather, I think it's his acknowledgement that less wholesome responses to that reality than those he sketches are very possible - "this hinge of history may turn out to be just dust and grief". I believe he set out to describe the most hopeful path forward, given where we are.